New Priority - Triggers when you add a new priority. 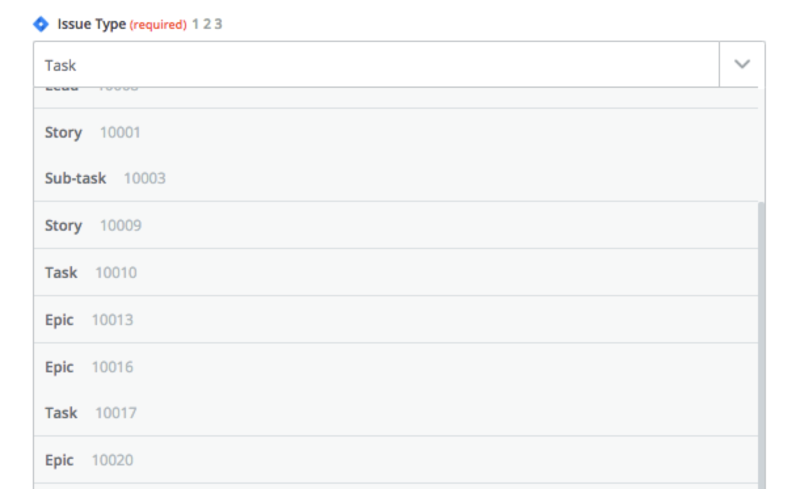 New Issue (Via JQL) - Triggers when a new issue is added that matches some JQL. New Project - Triggers when a project is added. New Issue Type - Triggers when you add a new issue type. Updated Issue - Triggers when an issue is updated. New Issue - Triggers when you add an issue to a project of your selection. Add Watcher to Issue - Adds a user to the issue's watcher list. Attach File to Issue - Attaches a file to an existing (or newly created) Jira issue. Update Issue - Updates an existing issue. Create Issue - Create a new issue, select your own project and issue type. Find User - Find a user by name. Find Issue - Searches for an issue, either using the issue's key, or its summary. You can then give your Account a title or label, which is just for your convenience and helps you track multiple accounts. It doesn't have any affect on which Account you actually add to Zapier. You will also need to enter the full URL that your JIRA installation is running on along with an account username and password. 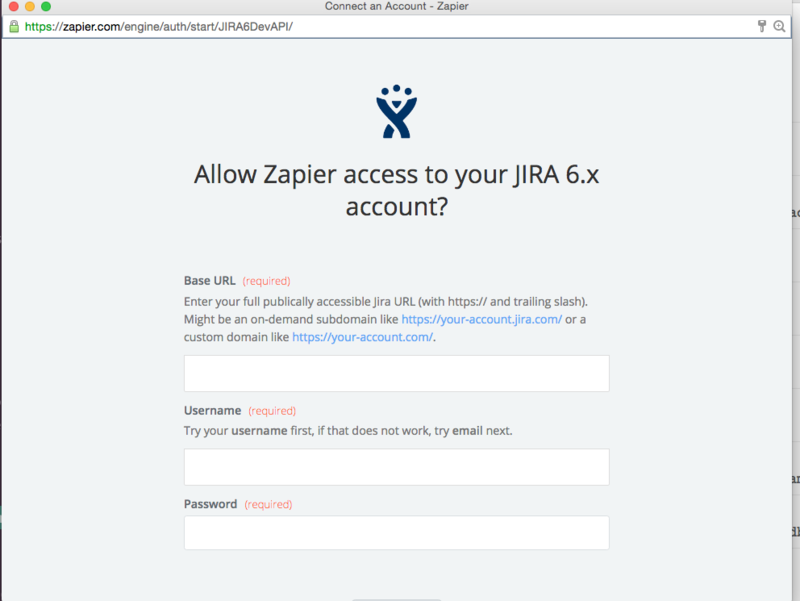 Note: In order to connect your JIRA account to Zapier, you will need full admin privileges along with API access. You can find out more about granting the correct permissions here. If you use Google SSO, then you can connect to Zapier using the same guidelines outlined here, The only difference is that you'll want to use your full email for username, and the API token as the password. Other SSO services haven't been tested yet. 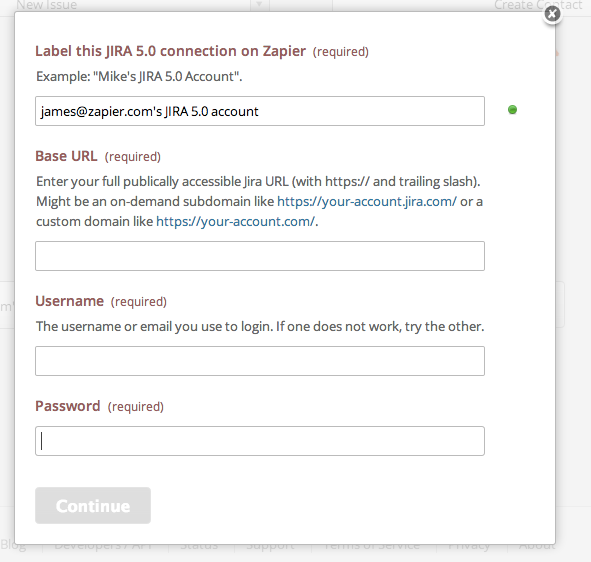 Currently Zapier supports JIRA 6+. We support both JIRA Cloud and Server. Then it is possible you have not opened up access to JIRA to the open internet for Zapier to connect. 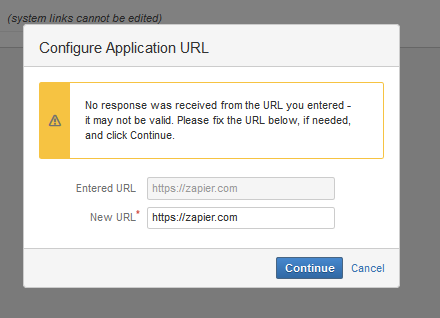 A common setup is for JIRA to be configured to only allow internal company traffic, which would mean Zapier would be unable to connect. You'll need to make sure that Zapier's IP addresses are whitelisted. We use Amazon's AWS products for our server infrastructure, so you'll need to whitelist the IP list from the us-east-1 region. AWS provides a list of their IP address ranges at https://ip-ranges.amazonaws.com/ip-ranges.json. For some instances of JIRA, you need to log in with your user name instead of your email. You can find your user name by going to your profile in JIRA. You are trying the wrong thing! If you are running into the above error, it's likely your SSL certificate is not from a CA Zapier recognizes or has some issues. For more information please see our SSL guide here. This is a known bug in JIRA that you can track here. Choose any issue key from the Issue Key dropdown menu. Map values into the fields as desired. Go back up to Issue Key dropdown and set it to use the issue key mapped in in the previous step. Turn on your Zap or test your action—the dynamically updated issue will get the values you've mapped. Clicking on the wrong Issue Type here will prevent the rest of your fields from loading, and you will not be able to create an issue. When you see this, click through the variations of the Issue Type that you want, until you see the rest of your fields load into the template in your Zap. This will help show you that you've selected the correct instance of the Issue Type for your project.